Ranger is a very fast and lightweight file manager that is great for previewing files without explicitly opening them. Ranger is very well suited to Vim keybindings too. 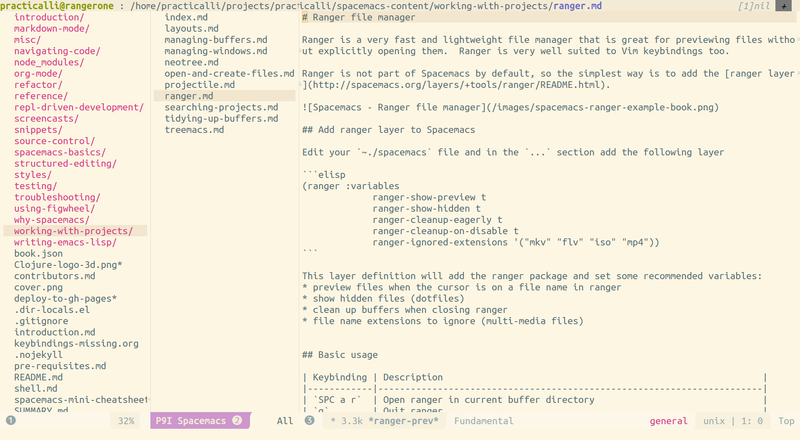 Ranger is not part of Spacemacs by default, so the simplest way is to add the ranger layer.